“Everything’s his or will be.” AMC has released new teasers for season seven of The Walking Dead. 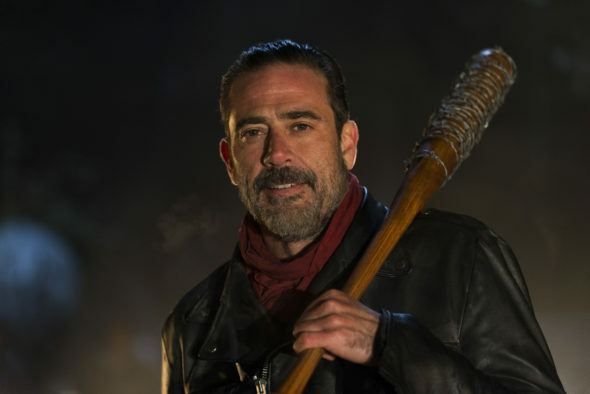 The new season will pick up right where season six left off, with Negan (Jeffrey Dean Morgan) about to beat the life out of a main character. The cast also includes Andrew Lincoln, Norman Reedus, Steven Yeun, Lennie James, Chandler Riggs, and Melissa McBride. Season seven of The Walking Dead premieres on October 23rd at 9 p.m. ET/PT. What do you think? Are you a fan of The Walking Dead? Who do you think Negan hits?